There’s not many things in life as satisfying as starting a fresh planner for the year ahead (seriously, what is your life, Tereza!). 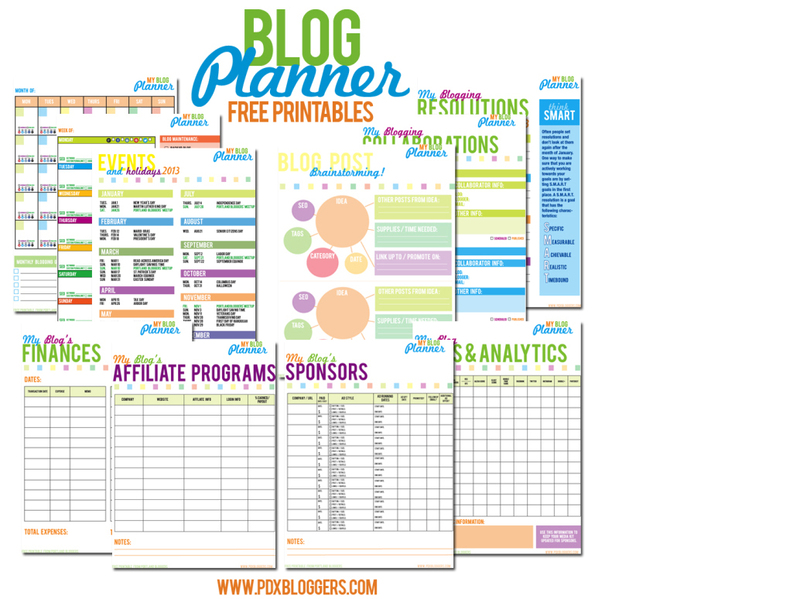 Finding a blog planner is, even today when there are millions upon gazillions of blogs out there, a bit of a tough job though. 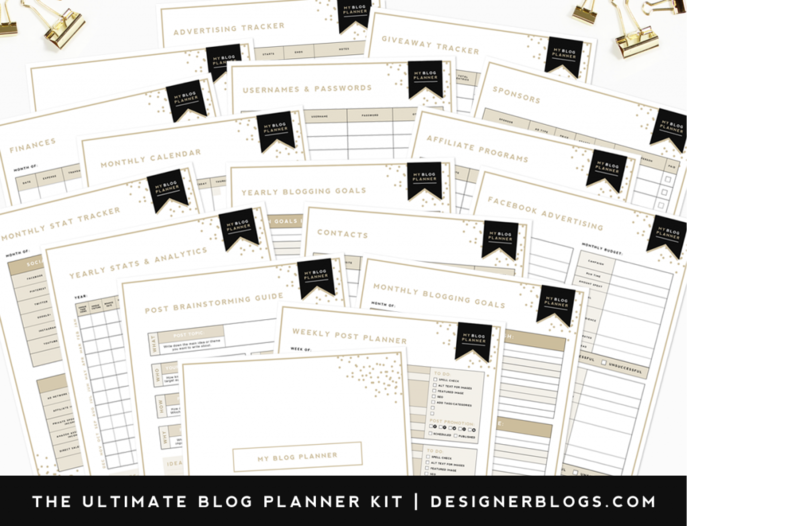 I’ve already mentioned a few of my favourite printable blog planners in this blog cheat sheet post (plus 45 more FREE blog resources for you to use, that’s right) however here’s my top 10 list of free blog planners that you can download, print out and dive into right now. Make your blog the best it’s ever been! This one’s split into individual pdf files and therefore gives you the flexibility to print out the pages you’re interested in. This way you don’t have to have blank ‘affiliate’ pages if that’s not something you do and you can always print out additional pages once you’ve run out of any of the sections. I’ve been using this one for more than a year now. Perfect! A much more succinct planner however it really goes in depth when it comes to content planning, planning of blog post series and even provides you with a blog post checklist! I find it incredibly thought out that this planner comes with two different options of binding – you can either print it off centred for clipboards or with extra room for binding. Please note the front page does say 2016 but the rest of the planner is universal! Because sometimes you don’t need more than one page. Simplicity sometimes works better and keeps you more organised. When there’s too many pages in front of you you suddenly realise that you’re planning your planning to be able to plan for your blog. Phew! If monochrome bores you to death then this rainbow planner might just be your thing! 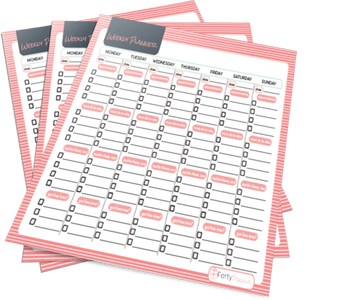 This planner is super flexible and detailed, and what I particularly like is that certain colours can stimulate your brain to be more creative or to be less stressed – what a clever little idea! This planner is deal for bloggers but also for small business owners because it gives you pages such as productivity matrix and a habit tracker. It’s insanely detailed and definitely a touch overwhelming for my little brain but I can imagine that when used properly it can really transform the way you work! 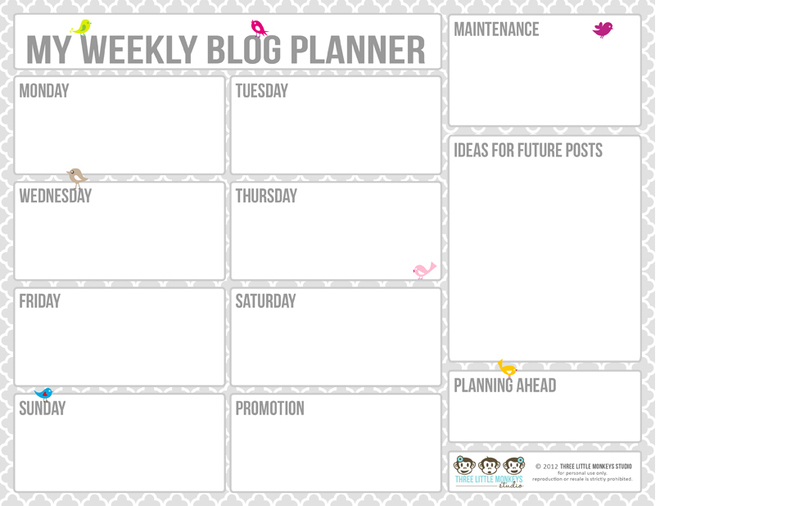 Are you using your diary as a blog post planner? 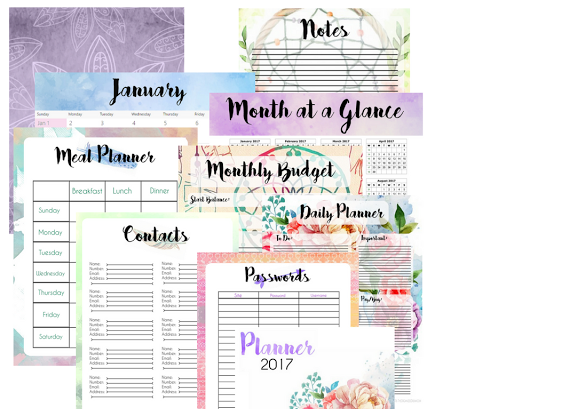 Then perhaps this blog goal planner might get your attention – 2017 better be #GOALS after what’s 2016 brought upon us, right? 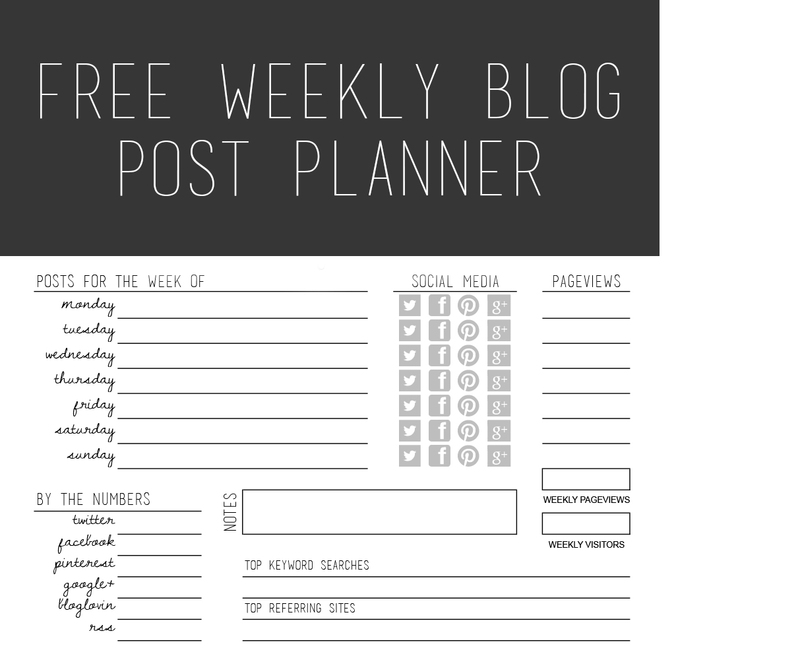 If you’re looking for a real short term granularity then this weekly planner will come handy. Not only that you can plan your weekly posts in it, you can also track your sharing, page views and keep track of your followings on all the different platforms. This is super useful especially if you set goals for these! 📅 The absolutely prettiest one! I usually prefer a black & white scheme when it comes to planners because they don’t distract me as much but I have to admit that this planner is the beautifulest of them all. So much detail and effort that has gone into making this! And it’s absolutely free! Honestly, the prettiest one I’ve found by far! 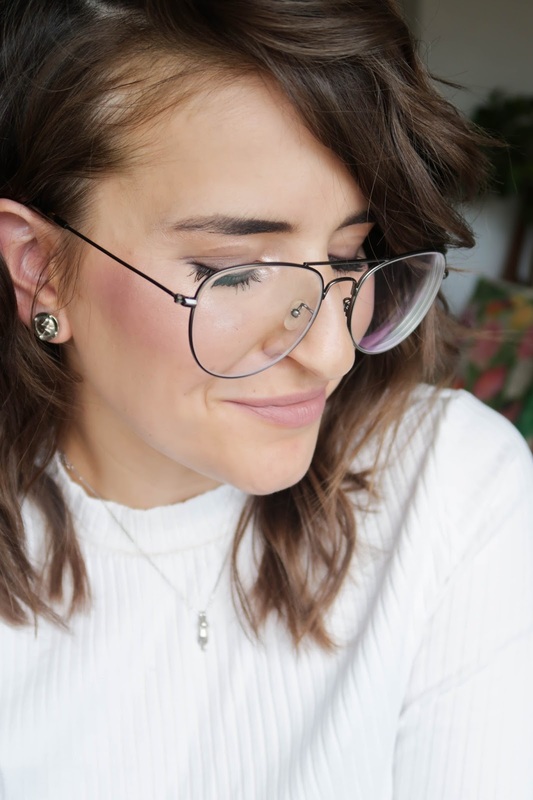 Once your blog becomes profitable and you start working on various collaborations and sponsored content it might feel a little overwhelming at first. 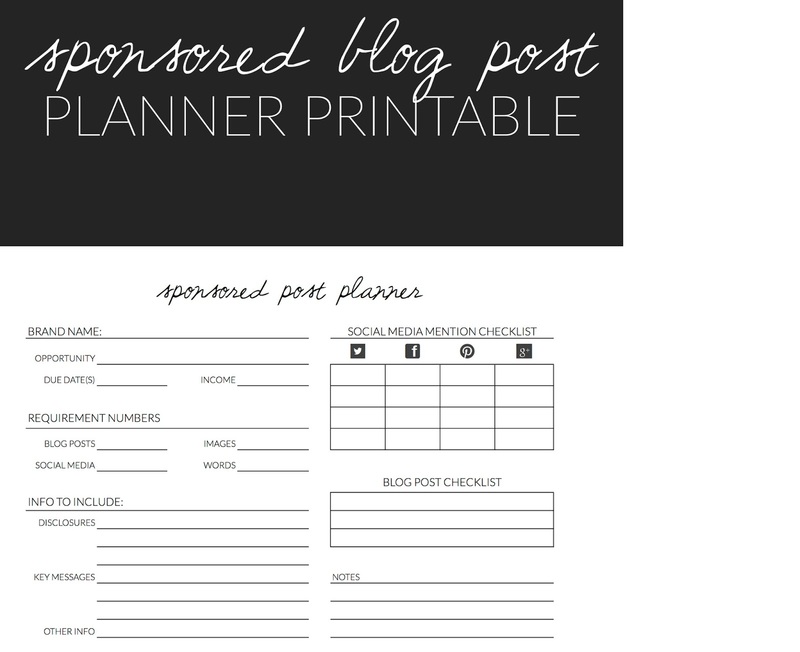 A good starting point is this sponsored post planner which helps you track the most important aspects of sponsored blog work. 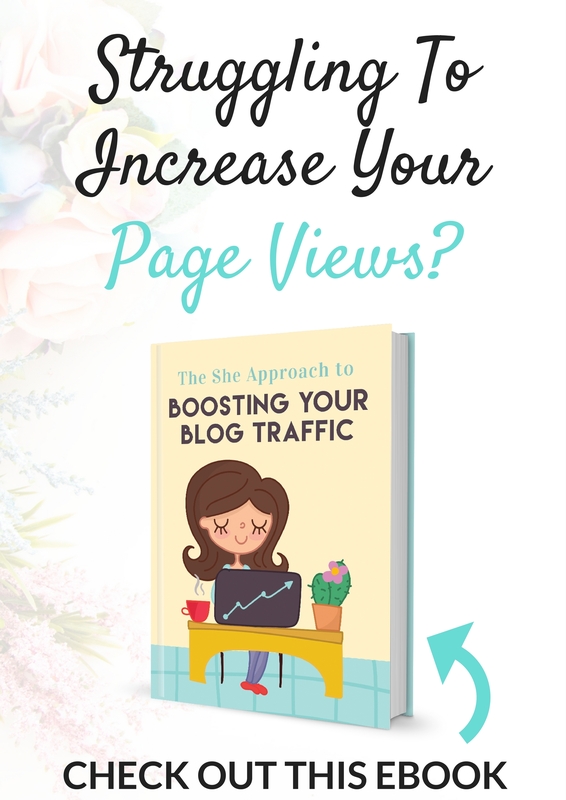 Hope you’ve found this post helpful and if so then please share it with your blogger friends! Sharing is caring and all that! Images sourced from the creators’ websites.